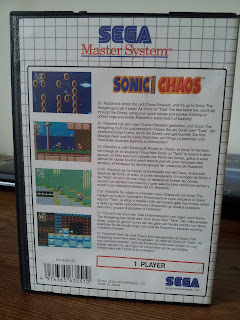 A complete in box Sonic the Hedgehog Chaos for the Master System. 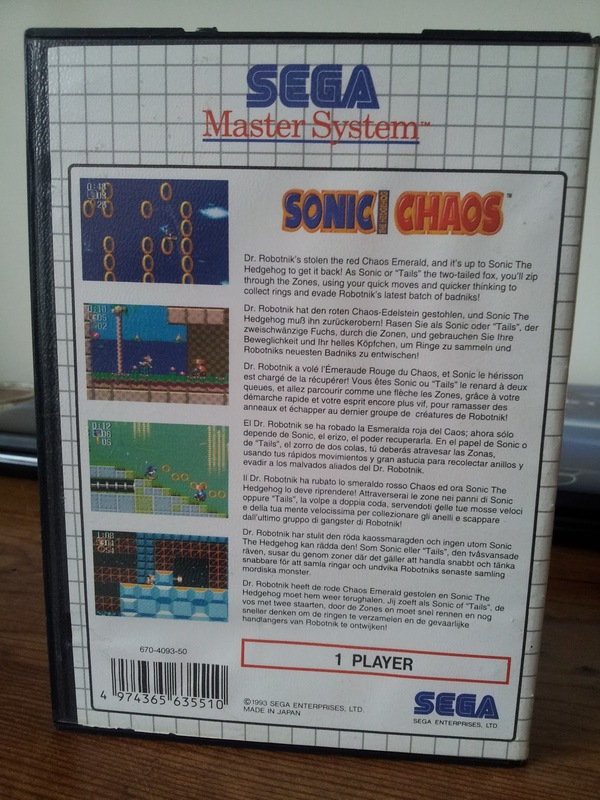 Being released in 1993 in Europe and Brasil only, the SMS version is somewhat rare to find in North America, copies rarely surface on eBay but they don’t command very high prices (an example of rare does not mean expensive). At the time of this writing I just got mine for $31 USD. 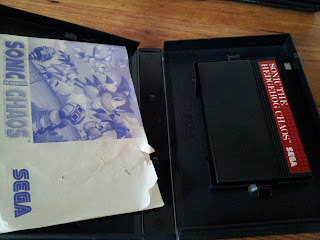 I’ve only played this game before on my Game Gear and on emulators. 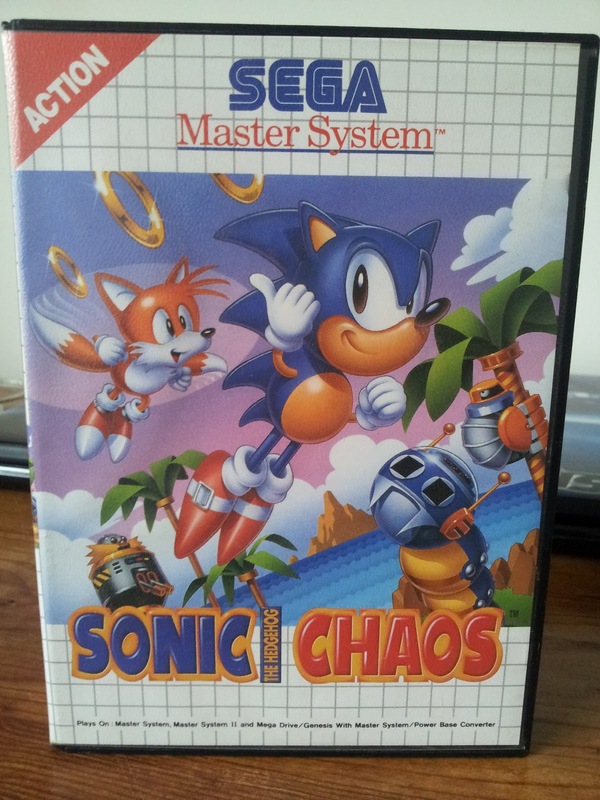 The game just doesn’t feel like a typical Sonic game and I think that’s good since the Master System just doesn’t have the blast processing power of the Genesis. The level layouts, the enemy distribution, the power ups, the music is all in the right place. 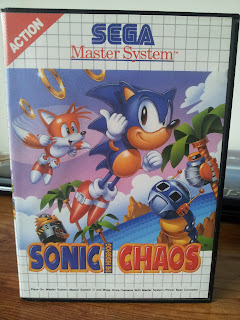 But my favorite part is you get to play as Tails in 8 bit for the first time, just awesome.